Learn how to treat elbow pain. Learn pathophysiology affecting the elbow plus relevant diagnostic tests, pattern differentiations, acupuncture point prescriptions, and herbal medicines. Download the course, complete the online quiz and receive immediate acupuncture license credit. Purchase the course and it will be downloaded to your computer in PDF format. PDFs work on Apple Mac, Windows PC, iPad, iPhone, Android and other platforms. After reviewing the course, take the online quiz and a certificate of completion will be automatically generated for INSTANT credit. You may re-take the quiz as often as is needed and there is no time limit. Easy to learn and like all the images to show the bones and muscles. very helpful with great tx suggestions. Comprehensive information that can be immediately implemented. 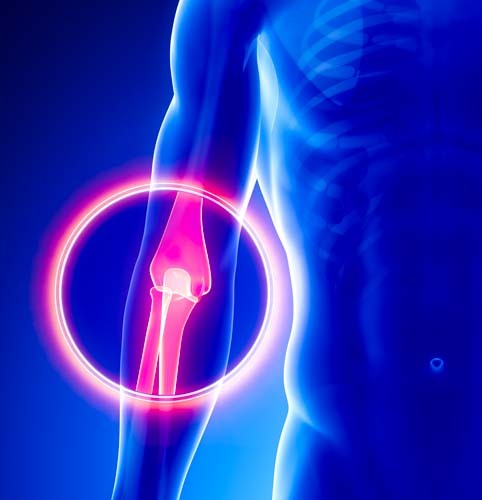 Great information on elbow pain and treatment. I will use this soon. It's OK. Very clear information. Comprehensive from a TCM point of view. great course! very informative & practical! Helpful and straight forward. Covered all methods of treatment available to us, including diet! Good quick review of dx & treatment including tests. very good information and treatment protocols. Good review of elbow structure, orthopedic tests, and treatment options. I learned some new points that prove to be helpful for elbow pain. That's great! Excellent review and overview of both Western and Chinese medicine diagnosis and treatment for elbow pain. Clear and concise review of Chinese medical differential diagnosis of elbow pain. Very helpful, focused on elbow pain diagnosis and treatment, it's so useful in real life. This is well compiled and easy to review and fresh your current knowledge.